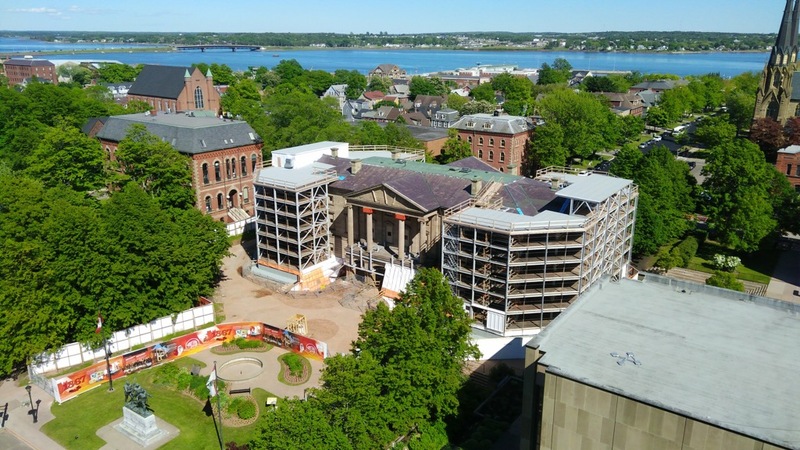 On Friday afternoon I returned to the roof of the Holman Grand hotel to so some additional LoRaWAN gateway testing, and, as it was an absolutely stellar day, I took the opportunity to take a photo of Province House in its current exoskeleton-wrapped state. My what a green and red island we live on. Written June 23, 2018 at 5:39 p.m.